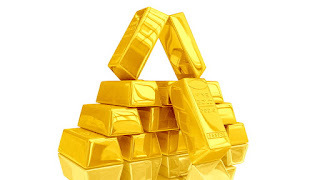 MTECHTIPS-Gold prices rebounded on Wednesday after declining more than 1% a day earlier as the dollar took a pause from its climb this week and investors prepared for a slew of events at the end of the week. At 12:06 PM ET (16:06 GMT), gold futures for December delivery on the Comex division of the New York Mercantile Exchange fell $3.60, or 0.30%, to $1,202.70 a troy ounce. Meanwhile, the U.S. dollar index, which measures the greenback’s strength against a trade-weighted basket of six major currencies, gained 0.47% to 95.52. The dollar appeared to take a breather as market participants waited to see if U.S. President Donald Trump would slap tariffs on an additional $200 billion worth of imports from China as soon as Thursday, which would ratchet up the trade row with Beijing. A weaker greenback makes the dollar-denominated metal more affordable for holders of foreign currencies. Data overnight showed that business activity in China slowed in August, indicating that the trade dispute with the U.S. is hitting demand.